Hello Everyone. Hope wherever you are, there is some spring air coming your way. I came across this Japanese fabric on Modes4You and instantly feel in love with it! I love everything turquoise and add anything bunnies and hearts to it and I am sold. I thought it would be the perfect fabric for an Easter dress for Mila. For some reason, it gave me a vintage, retro vibe. 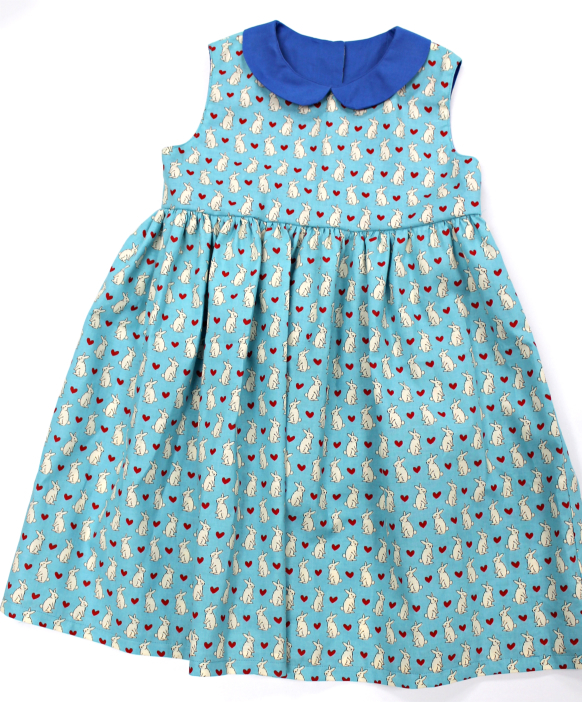 I don’t know about you but nothing screams vintage to me than peter pan collars on dresses. 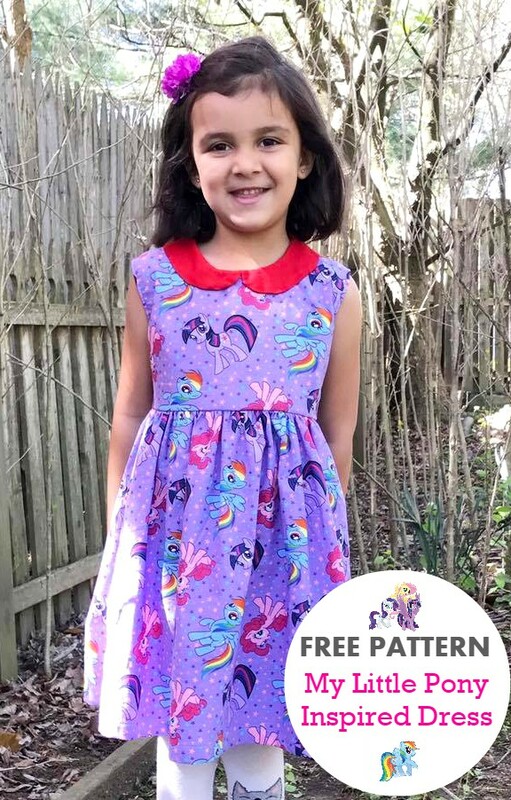 I decided to create a free vintage lady dress pattern to share with you guys in case you want to do something similar for your little girl. The pattern comes in sizes 5, 6 and 7. My daughter now wears size 6 so I try to do patterns that I can use in the future for her. 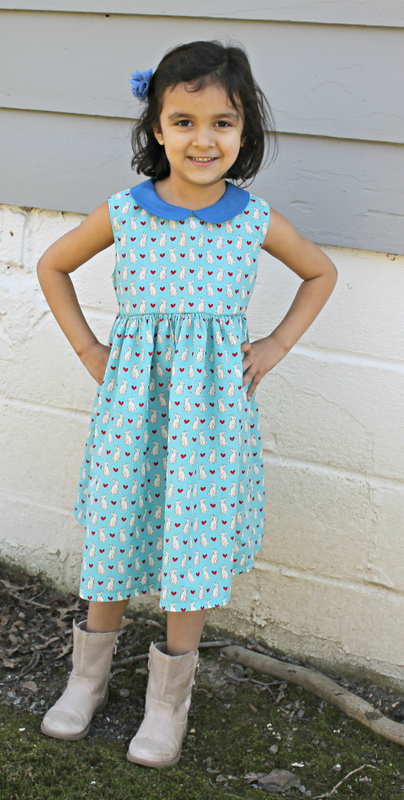 This is a super simple beginner friendly pattern for any first timer trying to start sewing dresses. 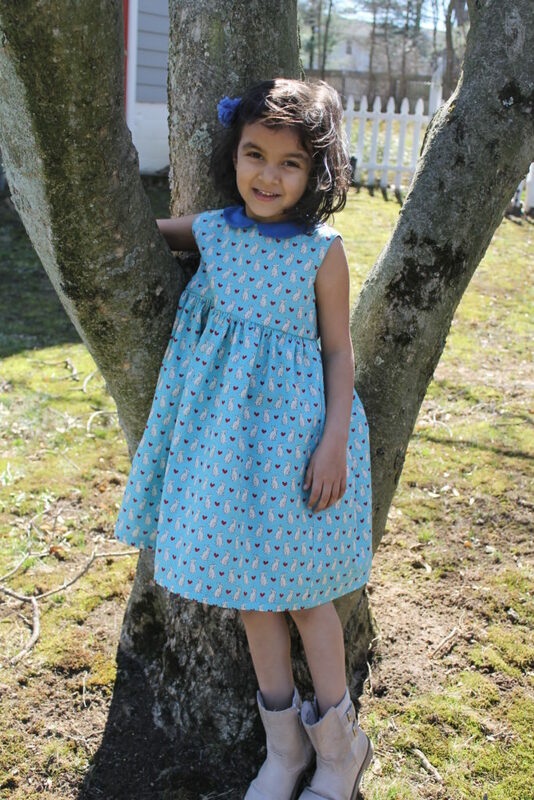 This pattern is the perfect beginner pattern for someone who is new to sewing. As a beginner, I always struggled with sewing bodices’ with linings. This tutorial and pattern is super simple to follow and you can finish the project in about 2 hours max. There she is; little miss sassy. I decided not to do sleeves on this dress because it can easily be paired with a sweater and to be honest, I just wanted to whip up something fast and simple. If you haven’t yet tried out Modes4You, you are missing out. They have a large collection of Japanese fabrics to choose from. I honestly could not find anything close to this level of cuteness anywhere else. Forgive me, I went a little camera crazy to capture this beauty. Mila loves the dress and I plan on making a few others for her that I will share with you guys. Here is a My Little Pony inspired version I did for Mila’s birthday! How cute, right? For this dress, I added waist bands to make the waist a bit tighter. If you want to add waist bands, do 2″ x 20″ bands on each side. I inserted in the bodice.